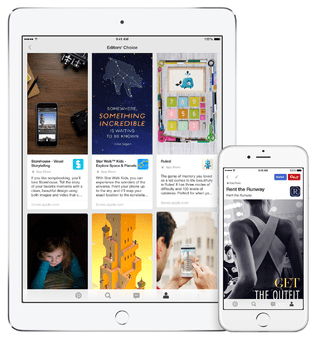 Book lovers have long been able to pin book covers (including ebooks) to share the titles they like, and now thanks to a new deal between Pinterest and Apple you can pin apps as well. NY Times reports that Pinterest is launching a new App Pin feature today which will enable users to both pin iOS apps they like to Pinterest as well as install apps from inside the Pinterest app. Users can browse Pinterest as they always do, and when they find a pinned app it will show a couple additional buttons. As you can see, there's an install button on the upper right, and down below the pinned image you'll find a second button button which lets you view the app in iTunes. Either button will open a standard popup listing that which Apple has been using in iTunes since last year. It looks just like it would from inside the app store in iTunes, which is good thing. The familiarity will keep users from accidentally buying an app. Pinterest has long proven a useful tool both for discovery and for curation, and now they're turning their focus to apps. "We can be a really powerful service for app discovery, which is a problem that still really hasn’t been solved," Evan Sharp, a founder of Pinterest, said in an interview. "Our specialty is really connecting people to the things they want to do." This integration is not available with Google Play or the Amazon App store, and there's no word on when it may be added. But I can report that Apple plans to take full advantage of the marketing possibilities; its launching its own curated account featuring multiple boards on Pinterest today, which it plans to promote apps by theme or season.